As we attempt to educate parent drivers about our morning traffic circuit for safe student drop-off, it is apparent that there is a need for greater safety awareness in general. This goes for drivers as well as for passengers. For example, in other parts of the world children under a certain age are ONLY allowed to ride in the rear seat of a car. There is a good reason for this – it minimises the risk of a child opening their door and walking into moving traffic. PLEASE, before leaving home make sure that your child is seated (with an age-appropriate safety restraint) in the back seat. 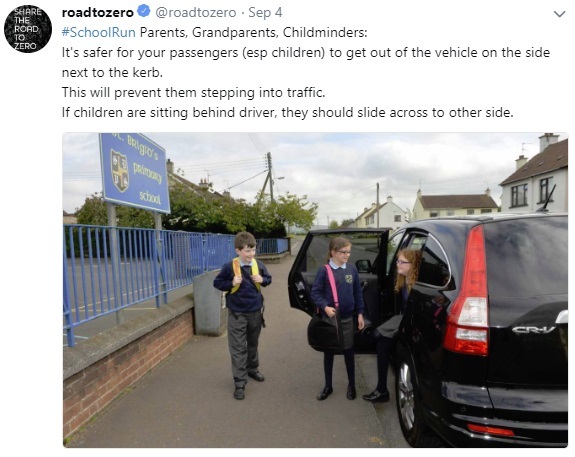 Have them sit on the pavement side of the vehicle, making sure that they get out on the pavement side on arrival at school. 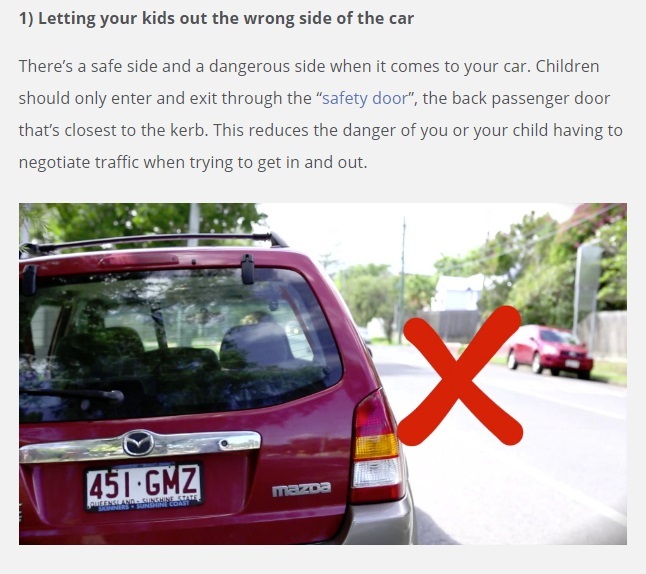 In Australia, they call the rear kerbside door the ‘safety door’, and the community is trained to recognise and use this. Why not activate the child lock on the rear-right door? This should encourage you, the driver, and your child passengers to become more safety door conscious. In the TCI, our situation is more complicated, and more dangerous still, with both right and left-hand drive vehicles on the road, which is why it is important for us all to reconsider what we all think we already know. Do take a moment to view the Internet screenshots.